All of my June projects for ScrapPlezier was cards. 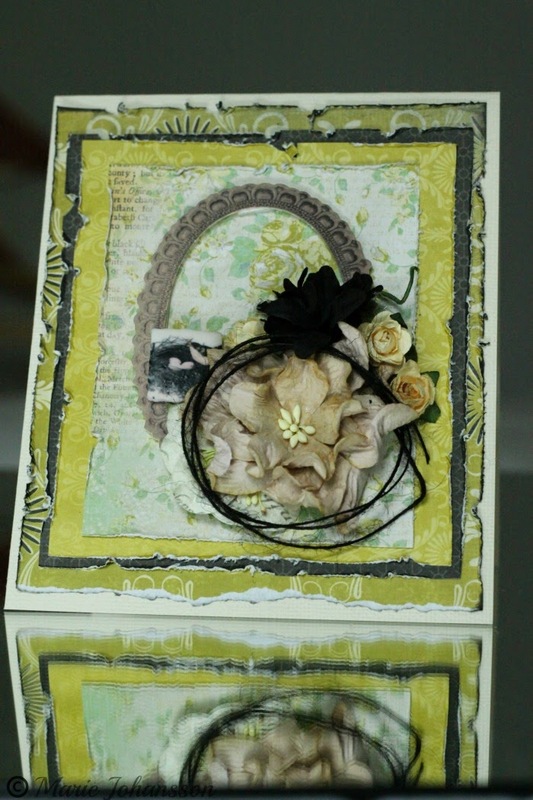 Maybe it has something to do with the range of birthdays we celebrate in June... I´m showing you another card made by using the Pickled Pear Collection from Keisercraft. I have layerd up the card by using different patterned papers from the collection. Then I added a piece from the collectables and a couple of flowers and a string. The black flower is really two flowers that I have put together with a bit of glue. Hope you like it!